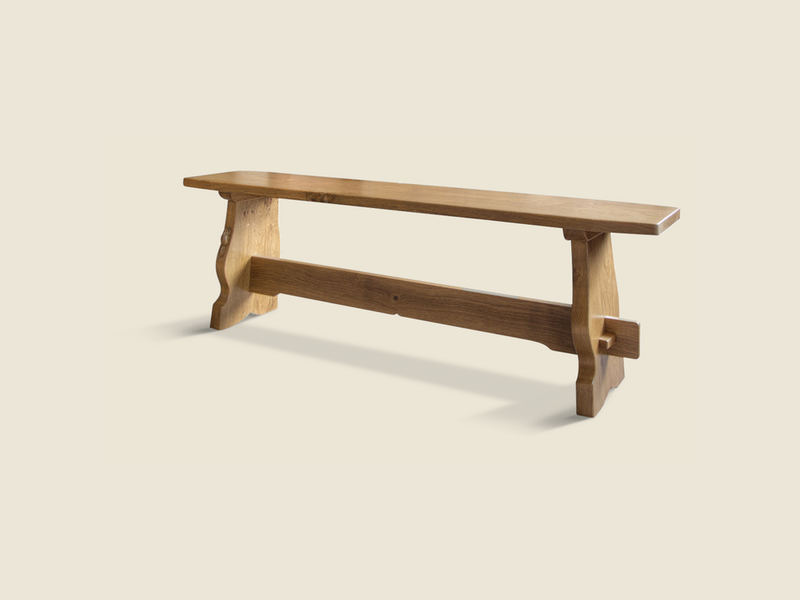 Our solid oak benches are ideally suited for use with our dining tables can be made to any size. This bench is shown with a refectory style frame. This bench can be made with square post or octagonal legs as an optional extra. This bench is in medium "fume" English oak and polished waxed finish. If the bench is to be used in the kitchen we would recommend an all over lacquer or oiled finish to help prevent water marking. Our carved "Beaver" trademark can be seen just under the seat, but you can chose where you would like the beaver to be placed.